Average 4.3 / 5 out of 25 total votes. Just when she thought she’d live out the rest of her mundane days… she died. ‘Even if this war of bloodlings rages on again, it will need a miracle to affect me,’ she thought. The peasant Yao Si had successfully revolted and taken charge, let’s see who dares to call her a weakling anymore! “Hey! You, that guy over there! So… she has a new dad. 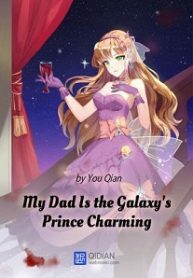 You’re reading Chinese web Novel “My Dad Is the Galaxy’s Prince Charming” on BOXNOVEL . Thanks!